Computer science professor at the University of Quebec, contributor to major data-science open-source projects, and long-time blogger. Daniel Lemire has a B.Sc. and a M.Sc. in Mathematics from the University of Toronto, and a Ph.D. in Engineering Mathematics from the Ecole Polytechnique and the Université de Montréal. He is a computer science professor at the Université du Québec (TELUQ). He has also been a research officer at the National Research Council of Canada and an entrepreneur. He has written over 45 peer-reviewed publications, including more than 25 journal articles. He has held competitive research grants for the last 15 years. He has been an expert on several committees with funding agencies (NSERC and FQRNT). 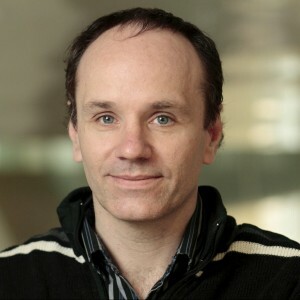 He has served as program committee member on leading computer science conferences (e.g., ACM CIKM, ACM WSDM, ACM SIGIR, ACM RecSys). His open source software has been used by major corporations such as Google and Facebook. His research interests include databases, information retrieval and high-performance programming. He blogs regularly on computer science at http://lemire.me/blog/.